A perfect prescription for the professional Bangalorean living out a busy schedule is adventure sporting. With experience and fun at its core, adventure sports in Bangalore provide that much-needed break from the madding crowd. So here’s your bet – choose from this wide array of fun adventure and extreme adventure sports, unwind and bounce back to face the week in style and confidence! Grab your friends, split into two groups, head to the barracks and shoot to paint out the enemy team and lead your team to the victory flag. That’s paintball for you! This fun adventure sport has travelled all the way from New Hampshire to India only to become a popular sporting event among children and elders alike. So wanna give it a shot? Then head to Cubbon Park, or check out the National Paintball League in Indiranagar and Global Paintball on Dinnur Main Road in Bangalore for an afternoon of crazy fun. Remember those evenings after school when you grabbed your bicycle and raced your friends into dirt tracks? Well, what do you think of doing it again, NOW?! 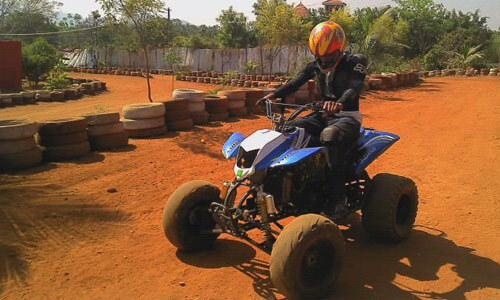 A rage in the mid 70’s, dirt biking is returning with a bang as a popular fun adventure sport in Bangalore. So how about dusting and cleaning that bicycle that’s been lying among the junk at home, and heading off to those muddy streets to get all dirty with fun. Extreme adventure sports – escape into the folds of nature. Fly high into the skies, jump off the plane and fly with your hands and legs spread out and the wind cradling you. Watch the world below your grow bigger, throwing beautiful scenes you never though you would ever see, while you come back to earth paragliding. Tandem jump with an instructor or train and glide to the ground all by yourself – that’s the choice you get to make at the Jakkur Flying Club in Bangalore and at Nandi Hills not far from here. 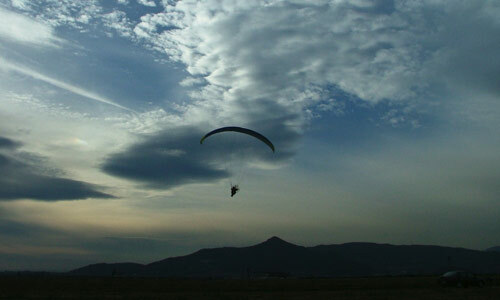 A great way to tune your mind to crazy adventure sporting, paragliding is the perfect sport for free birds. So get into action and reward yourself by flying without wings. 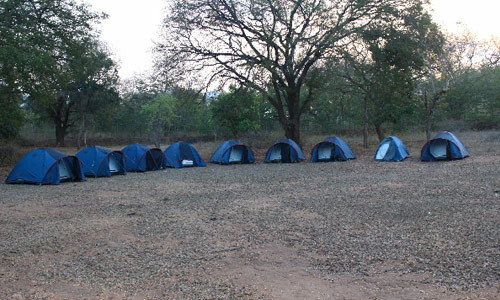 Lose yourself and let Nature embrace you while you camp in the wilderness in and around Bangalore. Camping is not just a beautiful adventure to connect with nature, but also the perfect stress buster and a lesson in living harmoniously with the wild. The Cauvery comes a-beckoning providing great camping sites along its course at Doddamakali and Bheemeshwari. Situated on the outskirts of Bangalore, Doddamakali hugs the Cauvery and offers a home to several exotic birds. Set off in coracles with local fishermen and spend a lazy day fishing, or trek to explore the jagged rocks and woods. Bheemeshwari’s jungle lodges set the mood for an expedition in the wild with camping not only along the river banks, but also up the wildlife habitat of Basavana Betta that makes camping here all the more exciting. For those who love long drives before pitching a tent, there’s no better place to head off from Bangalore than Tuskar Valley. Gear up for an action-packed weekend at Tuskar Valley, for you not only live in camps enjoying a scintillating view of Anekatti, Mudumalai and Bandipur, but also the Moyar gorge where you get to scream your hearts out rafting, rappelling and rock climbing! Nestled in the Western Ghats and a few hours drive from Bangalore is the beautiful district of Coorg. Dressed in living forests and plantations, ensembled by waterfalls and adorned by lovely lakes, Coorg has wonderful places to pitch a tent and dance around a bonfire. Thriving with wildlife and beckoning the adventurous traveler from Bangalore is the beautiful district of Wayanad in Kerala. Drive through forest highways to this beautiful district in Kerala that is blessed with an abundance of flora, fauna and natural beauty. There are pre-historic caves, long trek trails leading to silvery waterfalls, deep valleys and lakes – all beckoning the adventurer to camp and meld into its beauty. It’s one to climb up and down a hill on beaten tracks; it’s another to trek uphill and jump down its sides hanging from a rope! 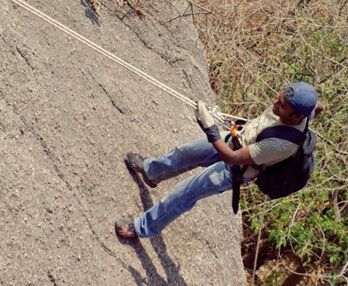 Bangalore is blessed with great rocky terrain in its outskirts that have sturdy rocks and nearly vertical slopes that make for challenging spots to rappel down. Choose from the granite rocks of Ramanagaram, monoliths of Savandurga, Manchanabele and Chitradurga for a fun-filled adventure. How about climbing rocks with a difference? Why take the traditional route and pant and puff to reach the summit? Go jumaring in places in and around Bangalore. Sieze the summit by climbing using ropes! And who gives you better rocks for jumaring than Ramanagaram, Bheemeshwari, Coorg, Dandeli and Chitradurga. And this is just a small list of adventure sports that Bangalore has in store for you. Thrillophilia is great organization to partner with to enjoy much more than these. They organize chimney climbing, bouldering, hot-air ballooning, sky diving and much more for the adventure seeker. All set to seek your kefi? One of the craziest water sport that exists around Bangalore and has gained more & more popularity over the years. The adrenaline rush attached to this raging sport has attracted youngsters, year over year to its mighty rapids. 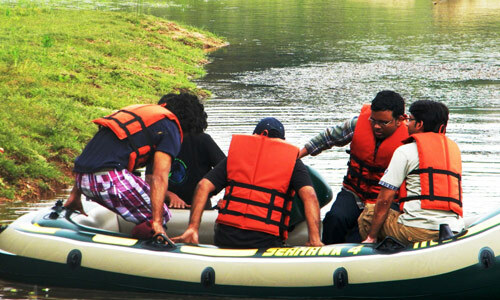 Regions like Bheemeshwari, Coorg, Dandeli are much heard destinations for river rafting. 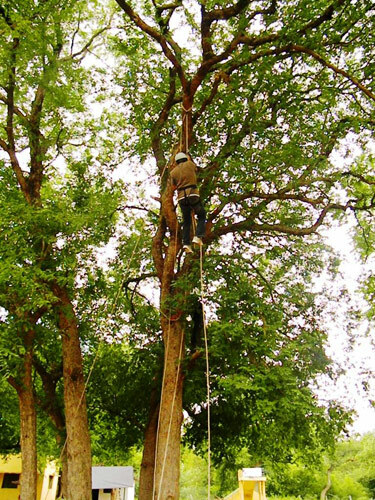 And this is just a small list of adventure sports that Bangalore has in store for you. Thrillophilia is great organization to partner with to enjoy much more than these. All set to seek your adventure spirits?